A company called Kodasema is on a mission is to find a better way to build houses – a way that creates space, time and energy instead of wasting these valuable resources. 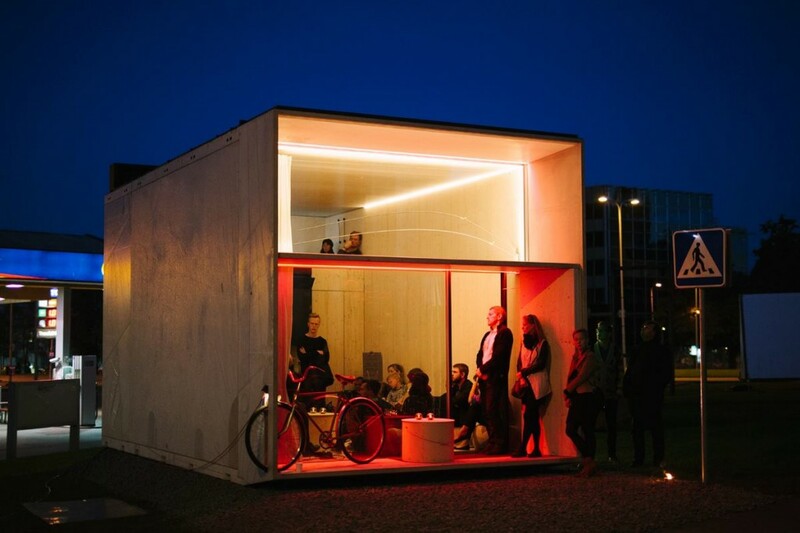 Recently, their first prototype house KODA got a warm welcome at the Tallinn Architecture Biennale and at the Design Night Festival. The core team of Kodasema is just under 20 people and they work closely with a group of 40-50 partners and advisors, from academic and practical backgrounds. And by “work closely”, we mean that they are fleeping away… Here’s the Kodasema Fleep User Story, in the words of Taavi Jakobson, co-founder of Kodasema. Several of my business partners and friends recommended trying Fleep for group communication, almost simultaneously — I can’t actually recall who was the first one. The creation of KODA has required a lot of brainstorming, co-invention and combining fresh ideas. To do this, we needed to get various people to cooperate – architects and designers, electrical and HVAC engineers, furniture and device manufacturers. Instead of the traditional waterfall project management method, we needed to get them all in one room, but facilitating this information exchange in a physical space would have been unnecessarily time-consuming and not very efficient at all. So, we created the necessary rooms in Fleep conversations. The conversations are on different subjects and/or consist of different subgroups of people. Some include only members of our team, for structuring data and workflow within Kodasema. Other conversations also include our partners and advisors – they are engaged in conversations on topics relevant to them (e.g. architecture and interior design, energy systems, engineering, etc). So, the structure of the conversations follows easily, with some harmless overlaps. The simplicity of structuring and retrieving information – between (sub)groups and fields. Thank you for sharing the Kodasema Fleep Story, Taavi! Make sure you also follow Fleep on Twitter and Facebook to keep an eye on our news and updates!